Choosing an organic deodorant is an important way to reduce your exposure to toxins in your everyday products. Deodorants (as opposed to antiperspirants) let your body do its natural job of regulating temperature and eliminating toxins through sweat. 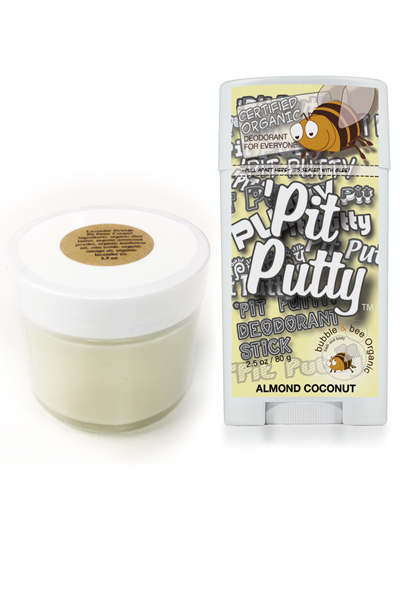 There are many types of natural deodorants and SO many options to choose from! That's because there's no *one* right option for everyone. Finding the right deodorant for you means finding the right blend of ingredients and method of application for your particular body chemistry. Pair a deodorant cream and a powder-based stick to both stay on skin and absorb sweat. Keeping moisture and friction down alleviates most underarm irritation problems. 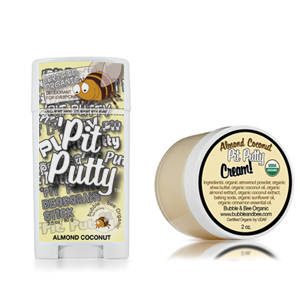 Pair a sensitive cream that creates a protective barrier on skin to protect against chafing, and a powder-based stick to draw moisture out of the skin and also reduce friction. Strong odors can be caused by a number of factors, from clothing to diet to genetics. Check out our tips for eliminating odors naturally. 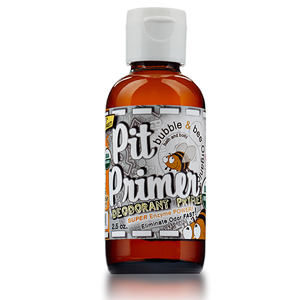 Using a Pit Primer with live enzymes can eliminate odors on-the-go. Choose a stick with wetness-absorbing powders and odor-blocking essential oils in a no-mess, no-fuss stick application. Choose a spray that goes on clear with no visible residue. A great idea for on-the-go deodorizing. Trends Come and Go. Our Products Don't. 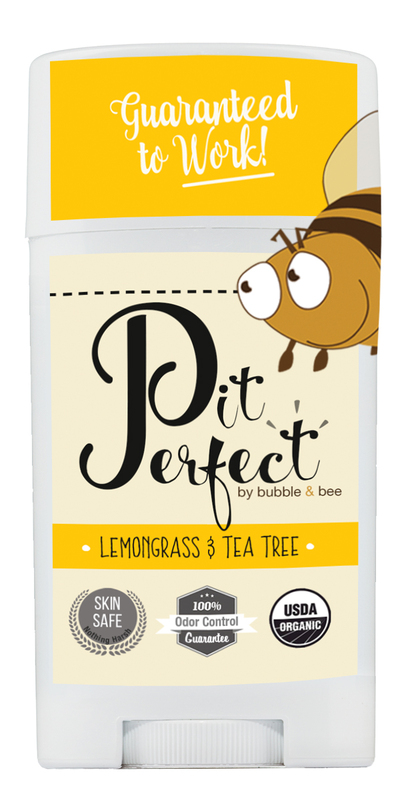 Since Bubble & Bee Organic began in 2007, there have been a lot of competing deodorants that have come and go. Companies started by venture capitalists and then sold to multi-national corporations. 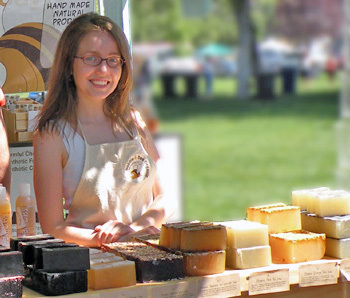 Companies that have focused on gaining distribution in retail chains more than focusing on quality and making skin-safe products. We've never focused on gaining distribution in large chain stores because that's not what we're about. We know the intense pressure a company is under to constantly lower costs when they're working with major retailers. We refuse to compromise on our ingredients, our formulas, and production methods. That's why our focus as a company is selling products directly to you, not to big box chains. Fresh batches, made with care, with organic, safe, and effective ingredients, shipped directly to you. There are so many natural deodorants out there now, but our customers keep coming back to us year after year because of the care we put in our products and customers. Many times you'll see companies reformulate their products to lower costs. The only time we've ever reformulated is to make our products more organic. For instance, we reformulated all of our spray deodorants a couple years ago so we could make them certified organic instead of just "all natural." It might not make us millionaires, but that's ok. Doing the right thing is more important to us.